You are not looking at a stack of albums. Sure, they’re album covers, but each is only three inches square and contains a record-shaped piece of bright pink bubblegum. Calling it “bubblegum” is generous — it’s actually the same piece of crunchy pink cardboard once found in baseball cards. 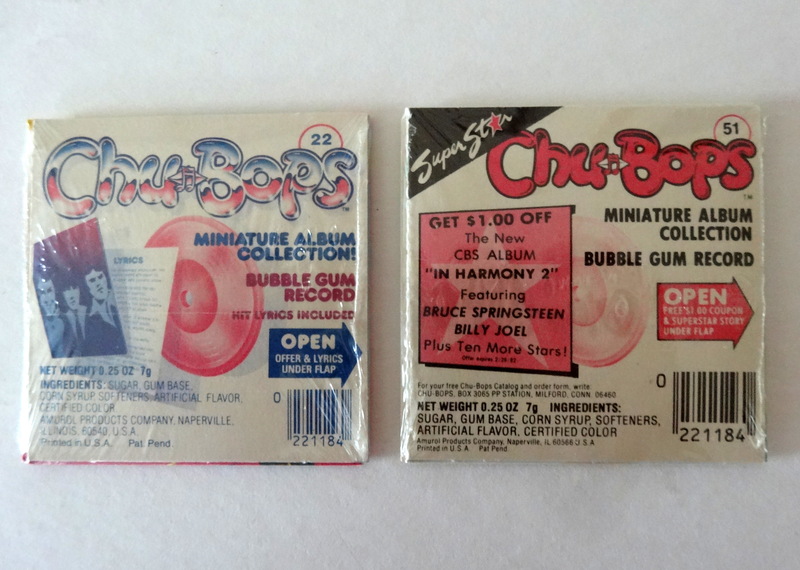 Chu-Bops were manufactured from 1980-83. Fifty-eight general records were manufactured along with 16 Beatles and 11 Rolling Stones special edition Chu-Bops. That’s 85 little record sleeves for you to hoard. If nothing else, these are a great study in how much the major label market has changed over the last 35 years. Teddy Pendergrass was awesome, but he was baby making music. 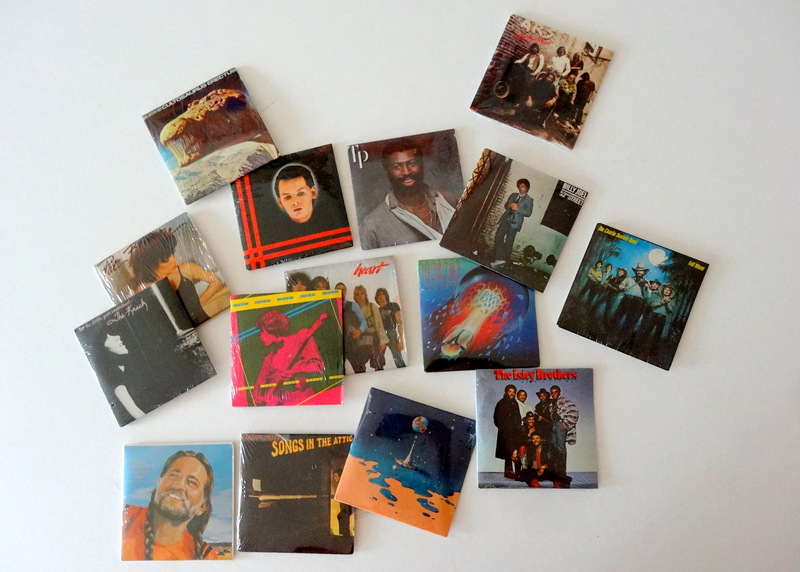 Willie Nelson, Air Supply, The Spinners — these are not exactly bubblegum artists. If Chu-Bops were released today, the labels would better target their licensing — Taylor Swift, One Direction, Lady Gaga. Overall, these remain pretty affordable collectables, with price driven by the cover artist and rarity. Today the highest completed eBay sale for a single Chu-Bop is $100 for a KISS Dynasty, and the lowest is $2.50 for a Gary Numan Telekon. Buy them in a lot and the price per item can get as low as the original 29 cents. Buy them opened and without the crunchy bubblegum and they get even cheaper. Happy hunting. They should have made one of Cyndi Lauper! Joseph Burck invented Chu-Bops when he worked for the toy inventor firm, Marvin Glass & Associates. That is a great piece of trivia. Thank you.